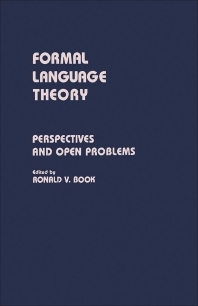 Formal Language Theory: Perspectives and Open Problems focuses on the trends and major open problems on the formal language theory. The selection first ponders on the methods for specifying families of formal languages, open problems about regular languages, and generators of cones and cylinders. Discussions focus on cylinders of algebraic languages, cone of algebraic languages, regularity of noncounting classes, group complexity, specification formalism, and grammars. The publication then elaborates on very small families of algebraic nonrational languages and formal languages and their relation to automata. The book tackles morphisms on free monoids and language theory, homomorphisms, and survey of results and open problems in the mathematical theory of L systems. Topics include single finite substitutions iterated, single homomorphisms iterated, representation of language families, homomorphism equivalence on a language, and problems about infinite words. The selection is a valuable source of data for researchers interested in the formal language theory.